Becoming a paramedic in Alabama is a bit different in regards to its requirements compared to other states (for example, you will need your Advanced EMT license to apply to a paramedic program, not just your basic EMT license). Here’s everything you need to know about becoming and ultimately practicing as a paramedic in the state of Alabama (AL). Here’s a list of a handful of EMT and paramedic training programs in Alabama. Bevil State Community College features an short-term certificate EMT program, a long-term certificate EMT-paramedic program (you must have an EMT-Basic license prior to beginning the clinical portion of your program) and a EMT-P program that ends with a Paramedic Field Preceptorship and one earning an Associate’s Degree. At Calhoun, students can earn either a long-term certificate or an Associate’s Degree. The course begins every summer semester. According to the paramedic program application at Calhoun, students who hold a clinical average of less than 75% will fail the program, regardless of your classroom average. Gadsden State offers students two paths to become a paramedic. The first is an Associate’s degree program, which is 76 total credit hours. This will include EMT and AEMT classes, as well as a variety of paramedic courses like Paramedic Pharmacology and Patient Assessment. The second is a Paramedic Institutional Certificate program, which is between 63 and 67 credit hours. And while information pertaining to tuition isn’t listed on their site, students are responsible for fees that cover uniforms ($30.00) , drug testing ($35.00), and malpractice insurance ($25.00). Your books, like the Paramedic Practice Today Package by JB Learning, will cost several hundred dollars. At Trenholm State, the college offers students a couple pathways towards becoming a paramedic. The first is through earning a certificate, and the second is an Associate’s degree. If you opt to go the certificate route, the cost of the tuition will be $8,494 for four terms. The Associate’s degree will be $10,138 for five to six terms. Do note that you will have to pay more money for additional fees pertaining to books, tools and supplies. Herzing University in Birmingham provides students with an Associate’s degree paramedic program. The cost of tuition for the program will be $38,370, and it looks like that will include the cost of books and supplies, as well. There is no room and board offered. As far as the program’s length, it was designed to allow students the ability to graduate in 96 weeks. Once you have successfully completed the paramedic program at Jefferson State Community College, you will be awarded with an Associate in Applied Science degree. Afterward, you will be eligible to sit for the National Registry exam and seek state licensure, as well. The Lurleen B. Wallace Community College provides students with an Associate’s Degree upon successfully completing the school’s paramedic program. This is particularly a good program if you know you will be a busy student. That’s because at this particular college, classes are only held twice a week (and at night). At this college, students are provided with not only EMT certificate programs, but a paramedic one, as well. The paramedic program will run 50 hours in length, and students will earn a “Long Certificate” after three semesters. There is also an opportunity for students to earn a degree, as well. NSCC offers students the chance to earn a Paramedic Certificate or an Associate’s degree. If you’re wondering what’s the difference between a certificate and a degree, here are a few answers that should help you. A degree program will provide you with more general education requirements. This ultimately means that you’ll have a more balanced education. Degree programs offer transfer and continuing education opportunities, as well. It’s also possible, too, that since you stayed in school longer and received more education, that you will have a leg up when it comes to not only acquiring a job, but moving “up the ladder” into potential management positions. Like many schools, Southern Union State allows you to earn either a paramedic certificate or an Associate’s degree. The certificate program will take 60 semester hours to complete, while the Associate’s degree will last a little longer (73 semester hours). Certificate program: $12,532 (covers tuition and license fees). Associate’s degree program: $15,283 (also covers tuition and license fees). The University of South Alabama offers students a paramedic certificate program. Should you want to enroll in this program, you will be asked to take the HOBET V examination and score no less than 60. HOBET is an multiple choice assessment exam that covers math, science, reading and English. This is an examination that is used to gauge how ready you may be for your upcoming education and training. To certificate program lasts just 21 months. It will cost students a little over $12,000 for tuition. You can expect to pay $3,600 for textbooks and related supplies. Room and board is indeed offered on this campus, with a price tag of $22,872. Wallace Community College offers a paramedic certificate program that can be completed in as little as 60 weeks. The program itself will cost you $12,145 for tuition, and an additional $2,624 for things like your textbooks and related course-specific supplies. The undergrad certificate program at Wallace State Community College lasts 45 weeks. The tuition will cost students $6,495, and if you account for the price of textbooks, supplies, and room and board, you are looking at an additional $2,700. Financial aid may be available for those that need it, though it’s always recommended that you check with you school’s financial aid office to be certain. And like any paramedic program, it’s required that you hold an Alabama Advanced EMT license. It must be an active license, as well. A five semester Associate’s degree is offered at Wallace State, as well. 1) Prospective paramedic students will need to hold a valid Advanced EMT license. Most states recognize national certification, and will grant you a state license (likely with more paperwork to fill out) without any further testing. This is not true for every state (some states have their own EMT or paramedic tests for licensure), so make sure you ask the school or paramedic training program you’re interested in about this important detail. 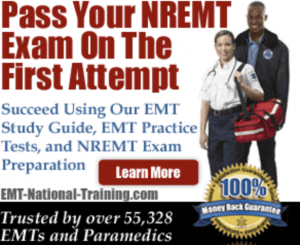 2) For more on becoming nationally certified with the NREMT (National Registry of Emergency Medical Technicians), which is a non-governmental agency that registers and maintains a database of certified EMTs, visit NREMT.org. 3) You will also need to have proper CPR certification, and in many cases, a completed anatomy and physiology course is typically required, too. Depending on the program, an ACLS (Advanced Cardiac Life Support) certification is required, as well. 4) One must be a high school graduate who is at least 18 years old. If you’re not a high school graduate, a GED will suffice. 5) Now, you will need to complete a paramedic training program. Paramedic training courses can typically be found at community colleges. An EMT-P course often provides students with a mixture of classroom and in-hospital clinical experience, as well as some field experience. 6) Each paramedic program requires different things from their prospective students. Immunizations are certainly required (since you’ll be getting hospital experience throughout the course), and depending on where you apply, you might also need to provide proof of citizenship. You’ll likely need to go through a criminal background check and drug screening, too. Written references may or may not be required by the school. 7) You will want to make sure that whichever paramedic training program in Alabama you select is an accredited program. Where can I find an accredited paramedic training program in Alabama? Make sure you visit the Commission on Accreditation of Allied Health Education Programs (www.caahep.org) to find an accredited paramedic training program. This is important, because as of January 1 2013, all students will need to complete paramedic education at an accredited school in order to take the paramedic NREMT exam. Do I need EMT experience to apply to a paramedic training program? Typically, you don’t need EMT experience, but it’s always encouraged and some schools firmly believe that students with EMT experience are more likely to successfully pass their paramedic training course. How long will it take me to become a paramedic? This really depends on the college and training program you select. Typically, a paramedic program can take anywhere from 6 months to two years to complete. In Alabama, paramedic programs typically require about 1000-1300 hours for class, lab, clinical, and field time. At Calhoun Community College, for example, their paramedic program runs about 1210 hours total. How much will a paramedic training program cost? All paramedic courses are a bit different and vary college to college. But, typically, you can expect to pay anywhere between $1,000 and $5,000 for a quality and thorough paramedic training course. Some programs can most certainly exceed that cost, however. UCLA’s paramedic training program, for instance, costs about $11,300. That price includes additional expenses for certification fees, uniforms, textbooks and more. The state of Alabama is a full National Registry state. That means that once you pass the National Registry exam, there is no state test. Through the Department of Public Health Office of EMS and Trauma, you will fill out a state application, pay your fee, and be issued a two year paramedic license. An average paramedic salary, according to the Bureau of Labor Statistics as of May 2011, is about $34,030 per year. Though in some areas of the country, like the District of Columbia, Oregon, and even Hawaii, a yearly paramedic salary can range anywhere from $44,000 to $49,000. If you’re taking the NREMT exam for the first time you may be fearful about how to prepare for it.